Friday, June 27, 2014 | by Darcy Blake | Looking for a can’t-put-down book for summer? 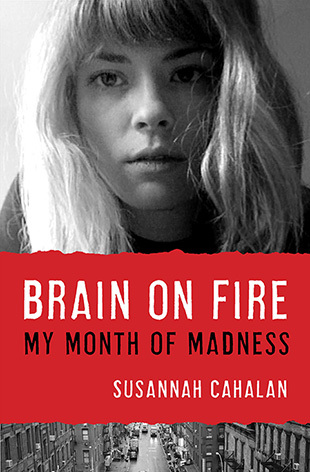 Try reading Brain on Fire, a New York Times bestseller by Susannah Cahalan that vividly captures what it is like to have a rare neurological disease. Cahalan, a journalist for the New York Post chronicles her terrifying ordeal with a newly discovered autoimmune disease. After experiencing photophobia, and paranoia which preceded a massive seizure and later catatonia, the author thought she was having a nervous breakdown. She was first diagnosed with having mono, and then as being bipolar, before a last-minute intervention was led by Dr. Souhel Najjar, who saved her life. Dr. Najjar diagnosed Cahalan using a test that involved her drawing a clock, a test normally given to people suspected of having dementia or Alzheimer’s disease. After a million dollars worth of blood tests, she discovered that her illness, Anti-NMDA-Receptor Autoimmune Encephalitis is a case of the body’s immune system attacking the brain. Her desperate search to find treatment emphasizes the importance of seeking more than one diagnosis for neurological disease and having faith, and the will to find a better life.